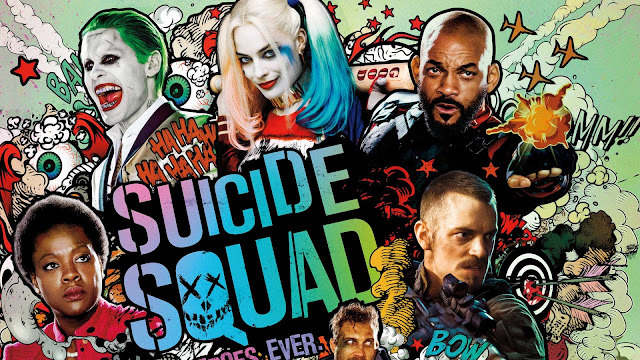 Suicide Squad is a movie that could never be described as tedious, and it perhaps the cast’s fault. The plot is typical for a movie of it’s genre, a group saves the world. But what was disappointing is that the most fun the Suicide Squad have is in the smaller missions, we already had a lot of superhero movies about saving the world, and when it comes to a group of villains I expected less, and sometimes less is more. The roles were cast perfectly, a fact the even the movie’s die-hard haters can’t deny. It offers small hints towards the relationship between the squad and Batman, and ends with a confirmation in the post credit scene, which ironically ends up being the best. It’s unique in being not as straightforward as the previous DCEU movies, and when it loses its plot the lovable characters pull you back in. The squad coming together wasn’t as great as Superman , Wonder Woman and Batman teaming up, or as satisfying as the Avengers assemble or even as hilarious as Guardians of the galaxy team up. It had the best elements to be a great supervillain movie but it just fell short. The additional backstories on each character was a pleasant surprise, even if we didn’t get any for Amanda Waller. It’s doesn’t have the great visuals that we’re used to in DCEU movies, but it does have the “in your face” humor Marvel is so great at. Perhaps the best things about this film is the endless possibilities of other solo films for each character. 2/5 stars.